What Is Considered a Business Disaster? There is quite a diverse mix of events that can easily be called disasters when they strike a business, particularly one that is reliant on its technology. These events can be categorized into three different classifications of disaster: natural, technological, and manufactured (or those directly caused by human behavior). Natural Disasters - Any business needs to be concerned about some kind of extreme weather event or other environmental conditions, as there is effectively nowhere on the planet that doesn’t experience at least some. Without any kind of mitigation, floods, earthquakes, and storms of all kinds can severely impact business-as-usual. Technological Disasters - Unfortunately, things break on occasion, even if they’ve been impeccably maintained. What’s more, many of the technological issues that are apt to strike a business come from outside of the business’ control. What happens if a tree takes down the line that supplies your business with its power? Probably very little work, and unless you have some alternative source of power, you’ll almost certainly lose any work that wasn’t saved before power was lost. What if your vendors mess up, and fail to deliver a crucial infrastructure piece? You’ll likely be stuck, your operations suspended. Human-Manufactured Disasters - As it happens, one of your most crucial business resources is also the one that has the potential to be the most problematic: your employees. Your current workforce could potentially create some disaster scenarios, as could a former employee. This is all in addition to the adverse effects of a workplace accident. Even more personal events can impact your business - what if a key member of your staff fell ill or otherwise couldn’t be in the office for some time? What Disasters Should You Be Worried About? While any of these disasters could have a serious impact on a business, leading to ramifications to its processes and overall success, some are more likely to strike your business than others. As a result, your first efforts should be to determine which events are most likely to actually impact you. With your business’ priorities mapped out more logically, you will be able to more effectively spend your time and energy making plans to avert business disasters. These goals should shape your planning process. This process should be carried out proactively to further minimize the impact that an issue could have. In other words, your backup plans need to outline exactly how your backed-up data is maintained and managed, how to ensure that your backups aren't affected by the disaster at hand, and how you will be able to replace your key resources post-disaster. Once your backup practices and policies are firmly established, you need to be sure that your entire team is brought up to speed and prepared for a disaster event. After all, who’s going to teach new employees about these practices, or put them into action when a disaster strikes? You also need to ensure that your backups reflect the changes in your business as time passes. 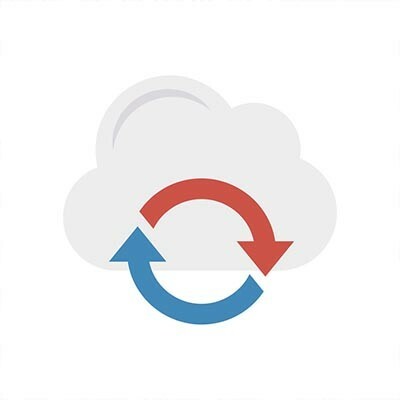 Making sure that your backups remain up-to-date and applicable to your needs is crucial to retaining their usefulness as a component of your business continuity and disaster recovery strategies. Will this process take a long time? Almost undoubtedly. However, it is also one that needs to be prioritized because of how critical it could (and statistically, will) be to your business’ continued success. BNMC can assist you in managing your backups, drawing from considerable amounts of practical experience to ensure that your backups fit you business’ needs. To learn more about how you can protect your business from disasters of all types and sizes, give us a call at 978-482-2020 today.